This story continues to develop. Consider revisiting and refreshing. I'm a vSAN Systems Engineer, but this article isn't official VMware documentation. Please refer to articles on vmware.com listed below, and to each of the vendor's sites listed below, for their latest, official information on this issue, since the contents of the excerpts may be changed. VMware hypervisors do not require the new speculative-execution control mechanism to achieve this class of mitigation and therefore these types of updates can be installed on any currently supported processor. No significant performance degradation is expected for VMware’s hypervisor-specific mitigations. Yes, VMware vSphere should also patched, both VCSA and ESXi, along with your system's BIOS, and all your VMs. This one article helps bring together some of the crucial information IT Pros need as they begin to prepare for those risk mitigation actions in their environment. I've brought all the key articles from processor, server, and software vendors together, and added some very helpful blog posts, videos, and podcasts too. I make no claims to be an expert on security in general, I've just collected and organized the links, and highlight some excerpts. While I usually stick to home lab topics here at TinkerTry, this particular set of risks certainly cross right over, threatening companies of any size. This whole issue has been quite the IT story. For me personally, it all started when I noticed this little Jan 01 2018 tweet by Matt Tait @pwnallthethings that predicted this story would be big. Very big. How right he was! In a way, all this behind-the-scenes collaboration between so many companies, especially between and Intel and various software and hardware companies, has been, dare I say it, reassuring? The idea here was to hopefully head-off exploitation of these weaknesses in the wild, which doesn't tend to take long once details are disclosed. This hurculean industry-wide effort seems to me to have required an unprecedented level of collaborative and coordination. One can only hope that the industry comes out of this mess stronger than ever, eventually. 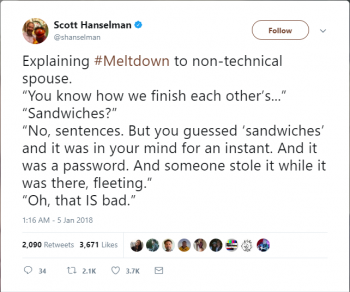 Did you know that the Meltdown vulnerability can be traced all the way back to 1995? Unfortunately, performance for folks with older CPUs (Haswell and earlier) are likely to suffer a performance hit after these fixes, but the overall impact should be negligible for client workloads on systems that get BIOS and OS patches. Only time, and testing, will tell. This collection of technical articles should help you get up to speed on what you need to do, since a careful look at all elements of your datacenter is warranted. This collection of links is really just a starting point in your personal journey of understanding, before taking action. Xeon D hypervisor and VCSA appliance, still waiting for BIOS 1.3 to be released, and for time to patch all those VMs, see also William Lam's script. Phone X to iOS 11.2.2. Uneventful, and easy. Dell Precision 5520 (laptop) to BIOS 1.70, with all Windows 10 patching done automatically for VMware employees. As of Jan 22 2018, I've now noticed that BIOS 1.70 has been pulled. Date is estimated, based on first Wayback Machine entry. This article has been updated throughout January, and now includes a section entitled "Useful Resources About the Issue" that indexes the various resources available from a wide variety of vendors, similar to this article's objective. We shared some initial assessments of performance impact yesterday. We now have additional data on some of our client platforms, and we are sharing that with you today. This is part of our ongoing effort to keep you apprised through frequent updates. We plan to share initial data on some of our server platforms in the next few days. Please know we are working around the clock to generate the data that you want to see as fast as possible. As we endeavor to continue our pace, please understand that – as is common in testing of this type – our results may change as we conduct additional testing. 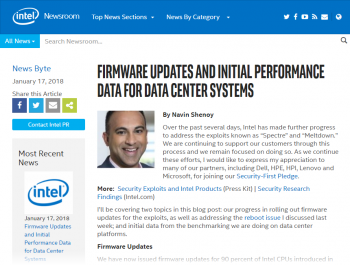 Customer-First Urgency: By Jan. 15, we will have issued updates for at least 90 percent of Intel CPUs introduced in the past five years, with updates for the remainder of these CPUs available by the end of January. We will then focus on issuing updates for older products as prioritized by our customers. Transparent and Timely Communications: As we roll out software and firmware patches, we are learning a great deal. We know that impact on performance varies widely, based on the specific workload, platform configuration and mitigation technique. We commit to provide frequent progress reports of patch progress, performance data and other information. These can be found at the Intel.com website. Ongoing Security Assurance: Our customers’ security is an ongoing priority, not a one-time event. To accelerate the security of the entire industry, we commit to publicly identify significant security vulnerabilities following rules of responsible disclosure and, further, we commit to working with the industry to share hardware innovations that will accelerate industry-level progress in dealing with side-channel attacks. We also commit to adding incremental funding for academic and independent research into potential security threats. 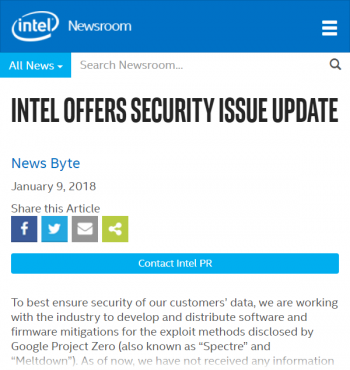 As Intel CEO Brian Krzanich emphasized in his Security-First Pledge, Intel is committed to transparency in reporting progress in handling the Google Project Zero exploits. We have received reports from a few customers of higher system reboots after applying firmware updates. Specifically, these systems are running Intel Broadwell and Haswell CPUs for both client and data center. We are working quickly with these customers to understand, diagnose and address this reboot issue. If this requires a revised firmware update from Intel, we will distribute that update through the normal channels. We are also working directly with data center customers to directly discuss the issue. End-users should continue to apply updates recommended by their system and operating system providers. From Intel. Click the image to visit the source pdf. Date estimated based on Google search. To learn more about upcoming VxRail patches, use the link from the article below, but note that a Dell EMC log in is required to view it. As Intel reported in their FAQ, researchers demonstrated a proof of concept. That said, Dell is not aware of any exploits to date. Apply the firmware update via BIOS update. Apply the applicable operating system (OS) patch. For more information on affected platforms and next steps to apply the updates, please refer to the following resources. They will be updated regularly as new information becomes available. Dell is testing all firmware updates before deploying them to ensure minimal impact to customers. 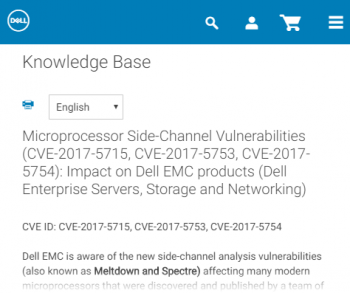 Dell EMC is aware of the new side-channel analysis vulnerabilities (also known as Meltdown and Spectre) affecting many modern microprocessors that were discovered and published by a team of security researchers on January 3, 2018. We encourage customers to review the Security Advisories in the References section for more information. 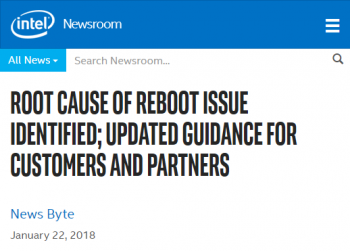 Dell EMC is investigating this issue to identify any potential impact to products and will update this article with information as it becomes available, including impacted products and remediation steps. Notice that the BIOS updates for popular systems like 14G R740 and R740xd became available on Jan 08 2018, and are listed in the detailed article above. IBM Storage appliances are not impacted by this vulnerability. 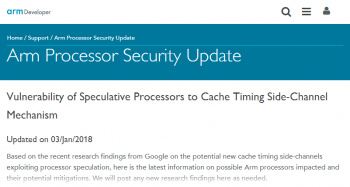 On Wednesday, January 3, researchers from Google announced a security vulnerability impacting microprocessors, including processors in the IBM POWER family. This website is updated frequently, as new product information becomes available. 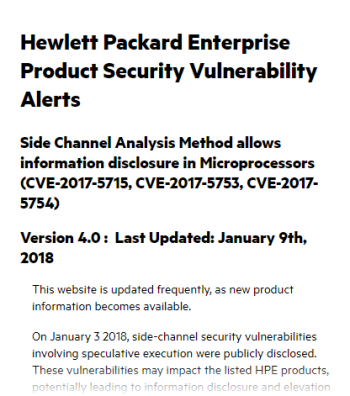 Note: Intel has informed HPE that Itanium is not impacted by these vulnerabilities. Date is estimated, and based on this page. Details regarding a previously undisclosed microprocessor vulnerability that could impact Supermicro systems has been announced and requires a microcode update of the system BIOS along with an operating system update. 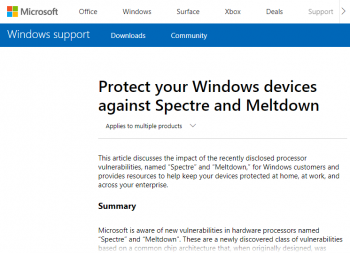 Commonly referred to as Meltdown and Spectre the vulnerability involves malicious code utilizing a new method of side-channel analysis and running locally on a normally operating platform has the potential to allow the inference of data values from memory. Note that Supermicro hasn't yet updated their ESXi 6.0 entries on the VMware Hardware Compatibility Guide to 6.5 yet, check all vendor's Xeon D entries here. Please feel free to contact Supermicro directly, to register your request, stating that you would like for ESXi 6.5 and ESXi 6.5U1 to appear on the VMware Hardware Compatibility Guide. While Xeon D SuperServers works great with ESXi 6.5 just like they did with 6.0, it would be best to have official support for this latest release. This VMware HCG issue has recently been resolved, see Supermicro SuperServer Xeon D-1500 Bundle mini-tower and 1U rack mount are finally on the VMware Compatibility Guide for ESXi 6.5U1. 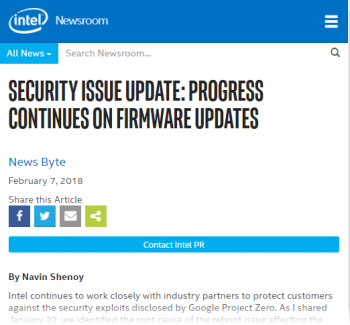 First, we have now released microcode updates for 100 percent of Intel products launched in the past five years that require protection against the side-channel method vulnerabilities discovered by Google. For Supermicro SuperServer owners using Xeon D-1500 (X10SDV), it will take some time, weeks perhaps, for BIOS testing at Supermicro to be completed based on these latest patches from Intel. For now, the latest BIOS for X10SDV systems is still BIOS 1.2c on the various systems BIOS download pages, with the anticipated BIOS v 1.3 not appearing anywhere quite yet. Update: Apple has released updates for iOS, macOS High Sierra, and Safari on Sierra and El Capitan to help defend against Spectre. Apple Watch is unaffected by both Meltdown and Spectre. 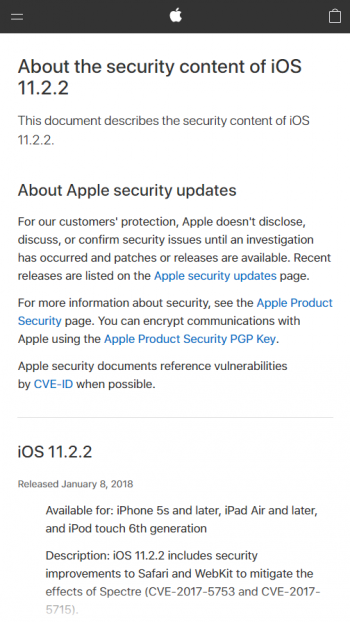 Apple has already released mitigations in iOS 11.2, macOS 10.13.2, and tvOS 11.2 to help defend against Meltdown. To help defend against Spectre, Apple has released mitigations in iOS 11.2.2, the macOS High Sierra 10.13.2 Supplemental Update, and Safari 11.0.2 for macOS Sierra and OS X El Capitan. 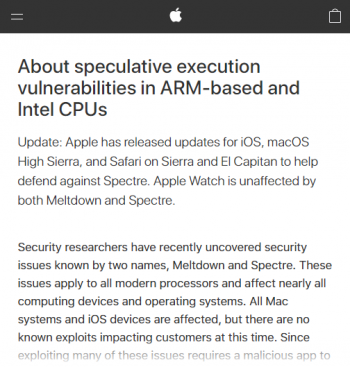 Apple Watch is not affected by either Meltdown or Spectre. We continue to develop and test further mitigations for these issues and will release them in upcoming updates of iOS, macOS, and tvOS. 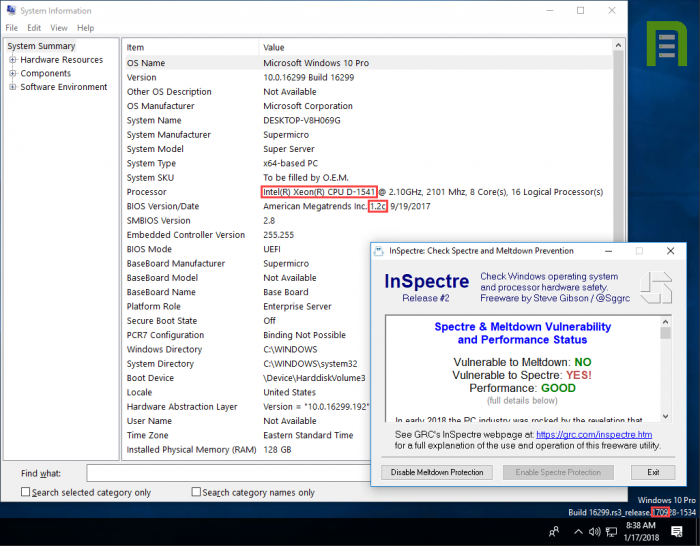 Affected chips include those manufactured by Intel, AMD, and ARM, which means all devices running Windows operating systems are potentially vulnerable (e.g., desktops, laptops, cloud servers, and smartphones). Devices running other operating systems such as Android, Chrome, iOS, and MacOS are also affected. We advise customers running these operating systems to seek guidance from those vendors. At this time of publication, we have not received any information to indicate that these vulnerabilities have been used to attack customers. 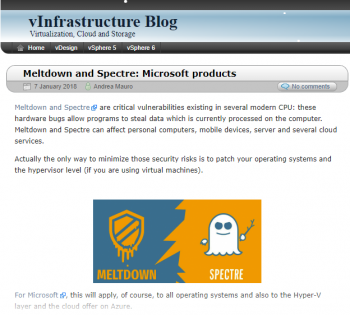 Login required, see also Andrea Mauro's blog post Meltdown and Spectre: Nutanix products. 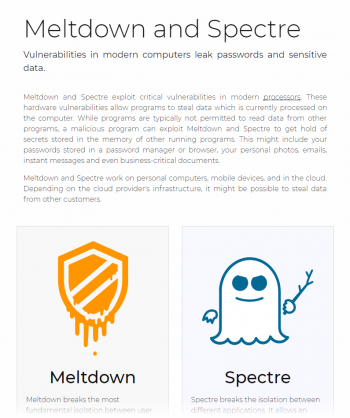 Security Vulnerability: "Meltdown" and "Spectre" side channel attacks against modern CPUs. To help mitigating this hardware implementation related flaw on the software layer, SUSE as an operating system vendor is preparing mitigations for these side channel attacks in the Linux kernel. Mitigation is done with help of Linux Kernel fixes on the Intel/AMD x86_64 and IBM Z architectures. On x86_64, this requires also updates of the CPU microcode packages, delivered in separate updates. SUSE has shipped microcode updates for Intel and AMD processors that supply control of the "indirect branch speculation" feature, please also check your CPU and hardware vendors firmware / BIOS download pages for updates. For IBM Power and IBM Z the required firmware updates are supplied over regular channels by IBM. VMware vSphere, Workstation and Fusion updates add Hypervisor- Assisted Guest Remediation for speculative execution issue. The purpose of this article is to describe the issues related to speculative execution in modern-day processors as they apply to VMware and then highlight VMware’s response. Date estimated, based on last update. Additionally, VMware is mitigating these issues in its services. This Knowledge Base article will be updated as new information becomes available. 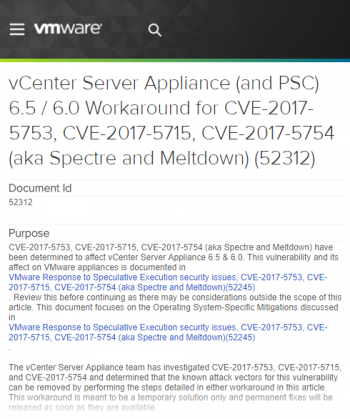 CVE-2017-5753, CVE-2017-5715, CVE-2017-5754 (aka Spectre and Meltdown) have been determined to affect vCenter Server Appliance 6.5 & 6.0. 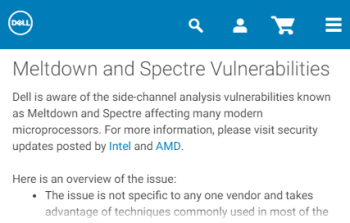 This vulnerability and its affect on VMware appliances is documented in VMware Response to Speculative Execution security issues, CVE-2017-5753, CVE-2017-5715, CVE-2017-5754 (aka Spectre and Meltdown)(52245). Review this before continuing as there may be considerations outside the scope of this article. 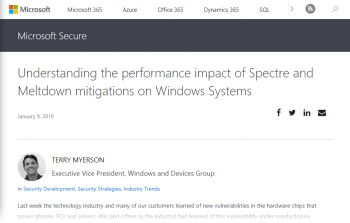 This document focuses on the Operating System-Specific Mitigations discussed in VMware Response to Speculative Execution security issues, CVE-2017-5753, CVE-2017-5715, CVE-2017-5754 (aka Spectre and Meltdown)(52245). The vCenter Server Appliance team has investigated CVE-2017-5753, CVE-2017-5715, and CVE-2017-5754 and determined that the known attack vectors for this vulnerability can be removed by performing the steps detailed in either workaround in this article. 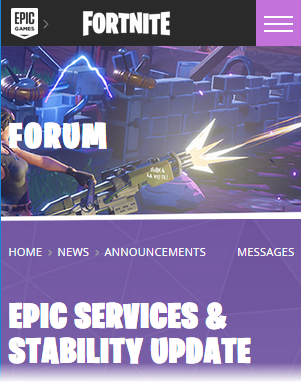 This workaround is meant to be a temporary solution only and permanent fixes will be released as soon as they are available. This workaround is applicable ONLY to vCenter Server Appliance (and PSC) 6.0 & 6.5. Do not apply this workaround to other VMware products. 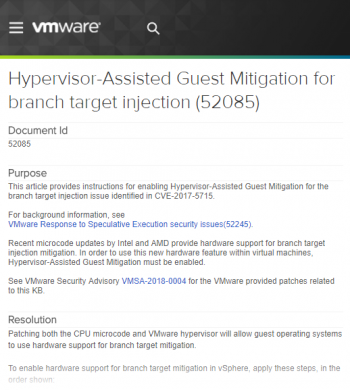 This article provides instructions for enabling Hypervisor-Assisted Guest Mitigation for the branch target injection issue identified in CVE-2017-5715. For background information, see VMware Response to Speculative Execution security issues(52245). Recent microcode updates by Intel and AMD provide hardware support for branch target injection mitigation. In order to use this new hardware feature within virtual machines, Hypervisor-Assisted Guest Mitigation must be enabled. Apply all security patches for your Guest OS which are available from the OS vendor. Ensure that your VMs are using Virtual Hardware Version 9 or higher. Upgrading a virtual machine to the latest hardware version (multiple versions) (1010675) discusses Hardware Versions . Virtual Hardware Version 9 is minimum requirement for Hypervisor-Assisted Guest Mitigation for branch target injection (CVE-2017-5715). For best performance, Virtual Hardware Version 11 or higher is recommended. Virtual Hardware Version 11 enables PCID/INVPCID. These features may reduce the performance impact of CVE-2017-5754 mitigations on CPUs that support those features. Power cycle the Virtual Machine (cold boot). Date estimated, based on last update. Find the "Subscribe to Article" link at the top-right of this article to be alerted when this article is updated. 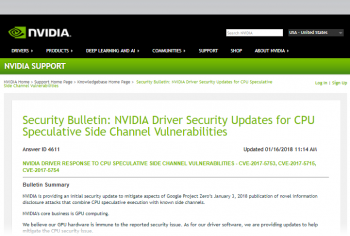 VMware is aware of the CPU vulnerabilities that may result in side-channel analysis due to speculative execution, which impacts, amongst other products, VMware vSphere ESXi. Ensuring customer security is our top priority. 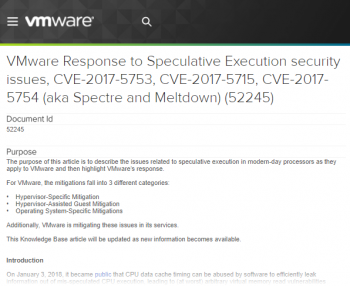 VMware has released updates and patches which mitigate known variants of the speculative execution vulnerabilities identified by CVE-2017-5753, CVE-2017-5715 (Spectre), and CVE-2017-5754 (Meltdown). As is our practice, VMware will continue to assess any further security risks, and will continue to provide updates and patches as appropriate. Customers have inquired if there may be a performance cost associated with either the VMware mitigations, or mitigations of the guest operating systems as released from the OS providers. 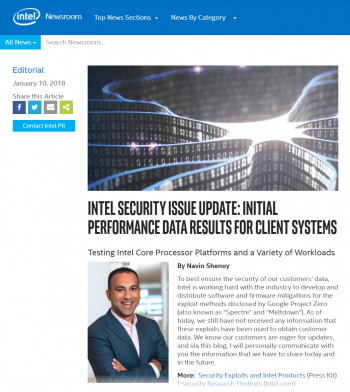 This knowledge base article will be used as the centralized document for which performance data relating to the speculative execution mitigations published. 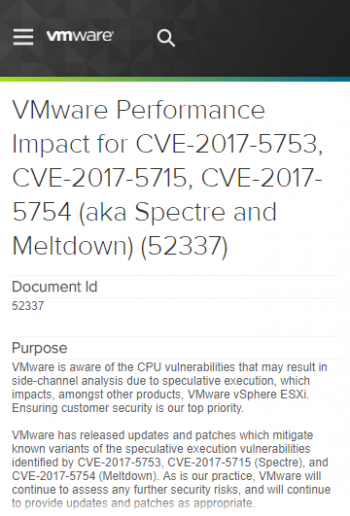 The VMware performance team is currently evaluating the performance costs of the Meltdown/Spectre mitigations for vSphere. 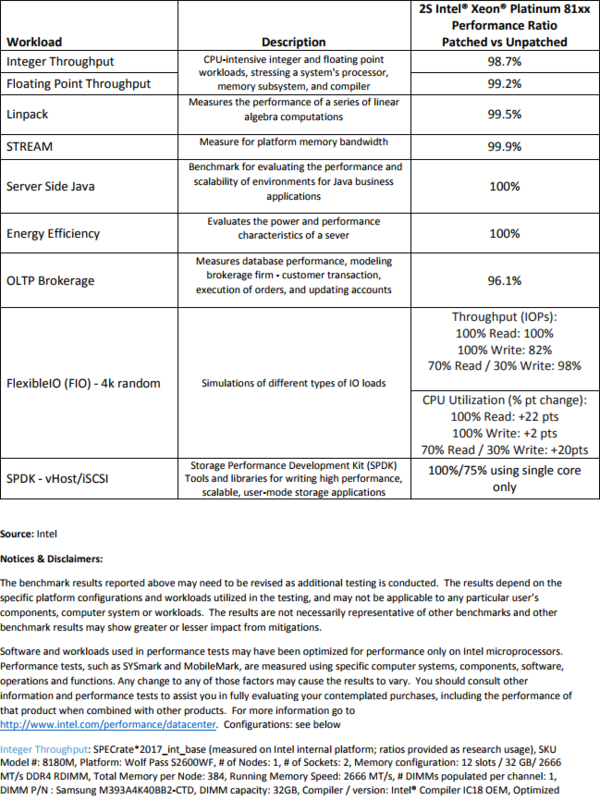 We plan to test with a wide variety of workloads using both unpatched and patched guest operating systems to provide a comprehensive view of the performance characteristics when running on vSphere. We will be updating this KB with our data as results become available. Please sign up to be alerted when this KB is updated with new information. As a result, VMware is delaying new releases of microcode updates while it works with Intel to resolve microcode patch issues as quickly as possible. Note: ESXi patches associated with VMSA-2018-0004 have been pulled down from the online and offline portal. 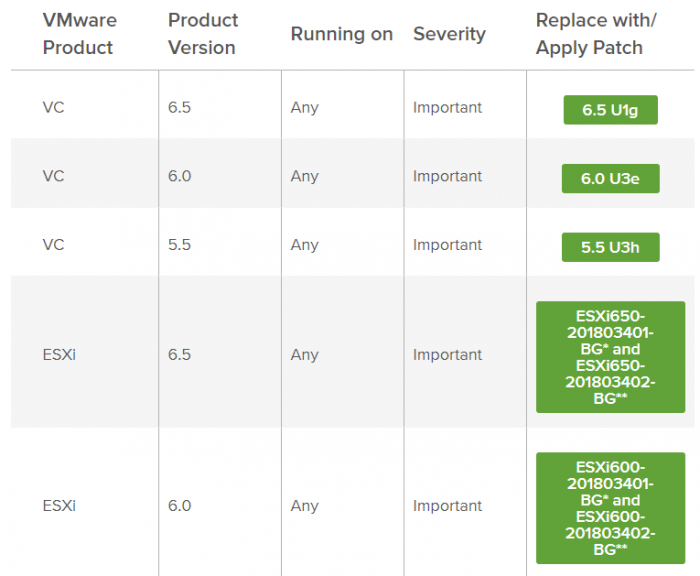 For ESXi hosts that have not yet applied one of the following patches ESXi650-201801402-BG, ESXi600-201801402-BG, or ESXi550-201801401-BG, VMware recommends not doing so. It is recommended to apply the patches listed in VMSA-2018-0002 instead. When you read VMSA-2018-0002 aka VMSA-2018-0002.3, you'll see it recommends ESXi 6.5 users patch with ESXi650-201712101-SG, found at https://my.vmware.com/group/vmware/patch, with this documentation. This ESXi650-201712101-SG is included in the ESXi650-201712001 patch I wrote about here. 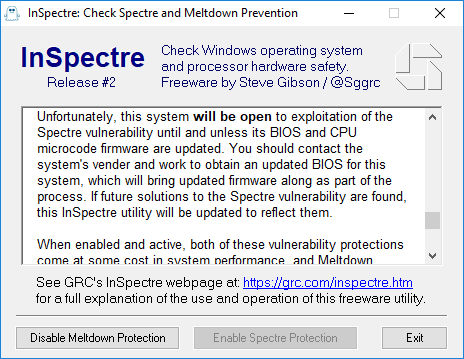 In order to clarify the mitigations provided in specific releases CVE-2017-5753 (Spectre-1), and CVE-2017-5754 (Meltdown) have been separated from CVE-2017-5715 (Spectre-2). Details on this change can be found in our companion blog. We thought we should post an explanation of today’s changes to VMSA-2018-0007 as we have removed CVE-2017-5715 from the advisory. The reason we have done this is to clarify which of these issues have been mitigated against currently known variants of the different vulnerabilities. VMware vSphere, Workstation and Fusion updates add Hypervisor-Assisted Guest Mitigations for speculative execution issue. Table excerpt from Security Advisory VMSA-2018-0004.3. See GRC (Gibson Research Corporation) InSpectre. Date estimated, based on Google search. See Microsoft Speculation Control Validation PowerShell Script. See William Lam's VerifyESXiMicrocode.ps1 PowerCLI script. Aaron's video features this tweet. 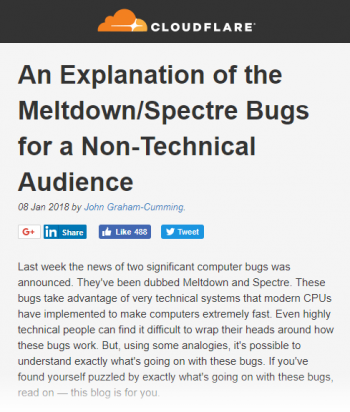 Last week the news of two significant computer bugs was announced. 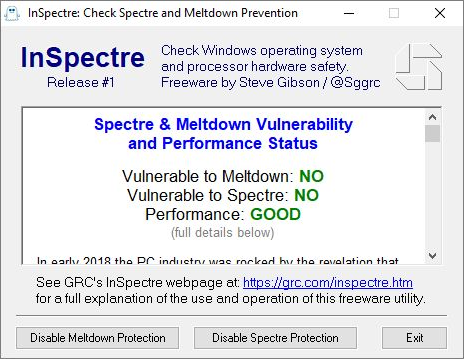 They've been dubbed Meltdown and Spectre. These bugs take advantage of very technical systems that modern CPUs have implemented to make computers extremely fast. Even highly technical people can find it difficult to wrap their heads around how these bugs work. But, using some analogies, it's possible to understand exactly what's going on with these bugs. If you've found yourself puzzled by exactly what's going on with these bugs, read on — this blog is for you. 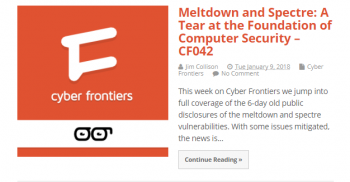 This week on Cyber Frontiers we jump into full coverage of the 6-day old public disclosures of the meltdown and spectre vulnerabilities. With some issues mitigated, the news is a gravitational force that has dominated cybersecurity early into 2018 and could continue to engage industry for years to come. We discuss the short and long term security implications and performance debacles, and provide technical and non-technical explanations for the two classes of vulnerabilities disclosed. We review the mitigations users can start employing now, and discuss impacts for the average guy and the enterprise. I was going to mention this topic in my newsletter this weekend. But things got sort of crazy and now there is so much info it is confusing out there so I thought I would treat this as a separate subject rather than as part of my newsletter. Here is an article by one of the top security thinkers – good info! Here is some good technical detail as well. Queued to the right spot in the discussion. 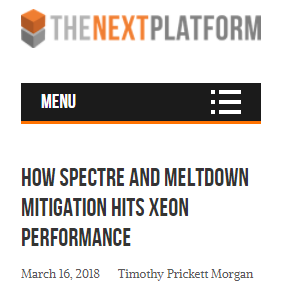 This week, before we focus upon the industry-wide catastrophe enabled by precisely timing the instructed execution of all contemporary high-performance processor architectures. Optionally, you can jump ahead to just the right spot where Steve really dives into this at length, streamed right to your browser complete with playback speed controls. See also the detailed transcript-like shownotes. See also the mentioned Speculation Control Validation PowerShell Script. Queued to the right spot, where InSpectre is discussed. This week we discuss more trouble with Intel’s AMT, what does Skype’s use of Signal really mean, the UK’s data protection legislation gives researchers a bit of relief, the continuing winding down of HTTP, “progress” on the development of Meltdown attacks, Google successfully tackles the hardest-to-fix Spectre concern with a Return Trampoline, some closing the loop feedback with our terrific listeners, and the evolving landscape of Meltdown and Spectre, including Steve’s just completed “InSpectre” test & explanation utility. Optionally, you can jump ahead to just the right spot, where Steve dives in and explains InSpectre. See also the detailed transcript-like shownotes. 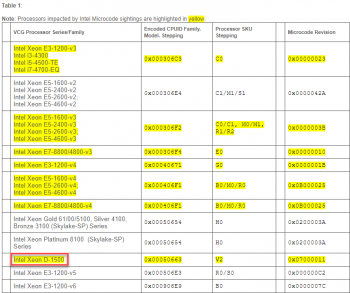 where Steve mentions the VMware Fling called VMware CPU Microcode Update Driver. Click image to view the shownotes that describe "The InSpectre" in detail. Here's my results, run on a Windows 10 Build 1709 VM, running under ESXi 6.5 Update 1 Build 7388607 from Dec 18 2017, running on my Supermicro SuperServer SYS-5028D-TN4T Xeon D-1567 system with BIOS 1.2c. Supermicro's remediation will be BIOS 1.3, which hasn't been released yet. Here's my results, run on Windows 10 Build 1709, running on my Supermicro SuperServer SYS-5028D-TN4T Xeon D-1541 system with BIOS 1.2c. Supermicro's remediation will be BIOS 1.3, which hasn't been released yet. 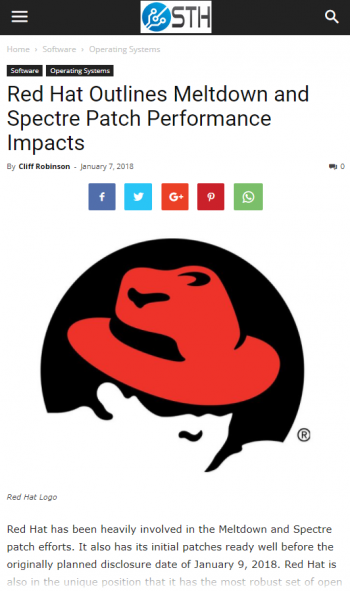 Red Hat has been heavily involved in the Meltdown and Spectre patch efforts. It also has its initial patches ready well before the originally planned disclosure date of January 9, 2018. Red Hat is also in the unique position that it has the most robust set of open source OS enterprise customers. 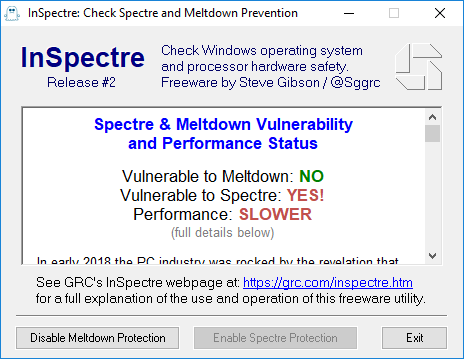 Those same customers are clamoring for information regarding the performance impacts of the Meltdown and Spectre series of patches. 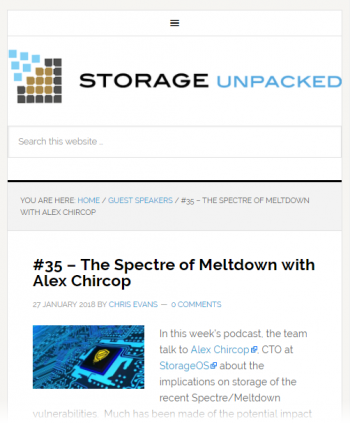 In this week’s podcast, the team talk to Alex Chircop, CTO at StorageOS about the implications on storage of the recent Spectre/Meltdown vulnerabilities. Much has been made of the potential impact to I/O performance and by definition storage platforms and products. The guys talk about what the vulnerabilities actually mean for end users and what to expect from storage vendors. Finally, the podcast concludes with some suggestions from Martin, as the token end user in the discussion. In terms of the patches that are being developed, how are they affecting the workload of an application or an operating system or a server? ... if you are using all flash arrays or you are using local NVMe, the performance difference could be 100%, those few microseconds could be the entire difference between doubling your performance impact on some sort of workload that is serialized, for example. The lower latency your environment has, the much higher the impact you're gonna see. but you really need to hear the context in which this was said. It's best to listen to the entire podcast. 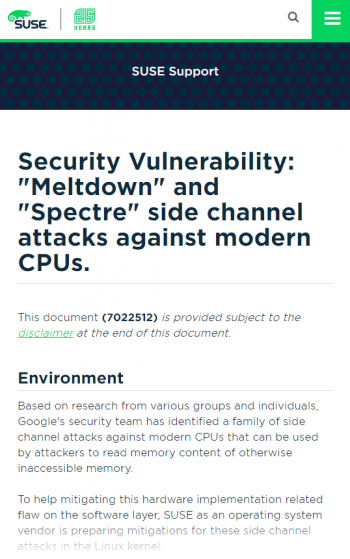 It has been more than two months since Google revealed its research on the Spectre and Meltdown speculative execution security vulnerabilities in modern processors, and caused the whole IT industry to slam on the brakes and brace for the impact. 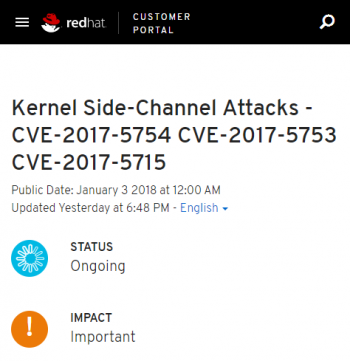 The initial microbenchmark results on the mitigations for these security holes, put out by Red Hat, showed the impact could be quite dramatic. But according to sources familiar with recent tests done by Intel, the impact is not as bad as one might think in many cases. In other cases, the impact is quite severe. 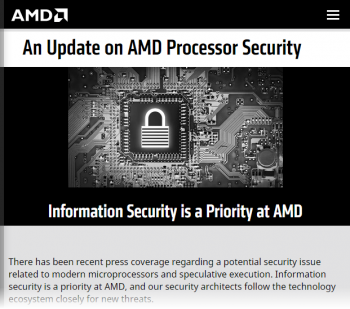 Yesterday, news broke about vulnerabilities affecting AMD, Intel, and ARM CPU’s. 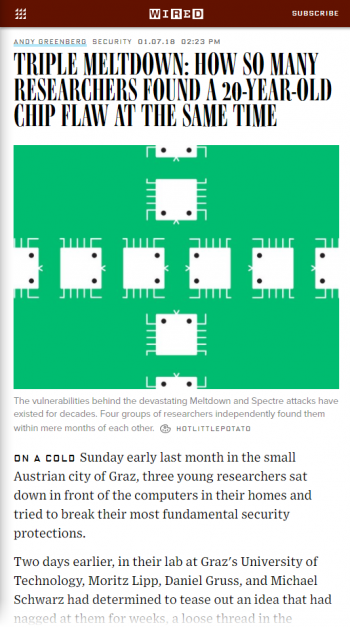 These vulnerabilities, termed Meltdown and Spectre, have the potential to expose information that the machine(s) process. Check out this post for an in-depth look. 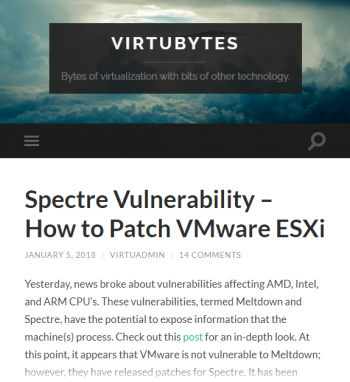 At this point, it appears that VMware is not vulnerable to Meltdown; however, they have released patches for Spectre. It has been speculated that patching the flaws will cause performance hits. To what degree varies by reporting source. As always, test patches before deployment and contact support if you have any questions. 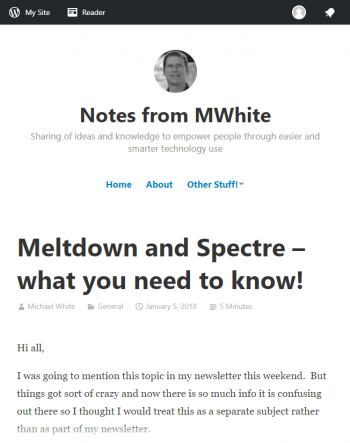 There is a lot of information swirling around out there on what to do with the latest Spectre/Meltdown vulnerabilities. 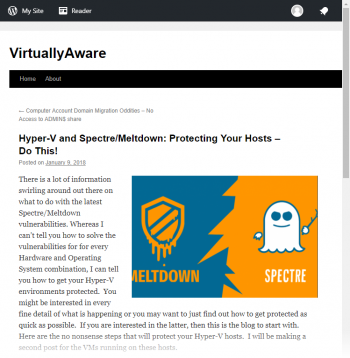 Whereas I can’t tell you how to solve the vulnerabilities for for every Hardware and Operating System combination, I can tell you how to get your Hyper-V environments protected. 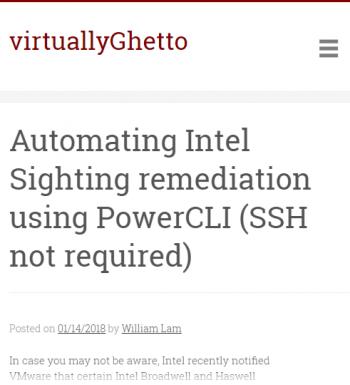 In case you may not be aware, Intel recently notified VMware that certain Intel Broadwell and Haswell CPUs are affected by Intel Sighting after applying the latest microcode update to remediate against the Spectre vulnerability. VMware has published the following KB 52345 which provides more details on the affected Intel CPUs along with the recommended workaround in case you have already applied the latest ESXi patches containing the faulty microcode. I highly recommend you carefully read over the KB before, even if you have not applied the ESXi patches proceeding further. Two days earlier, in their lab at Graz's University of Technology, Moritz Lipp, Daniel Gruss, and Michael Schwarz had determined to tease out an idea that had nagged at them for weeks, a loose thread in the safeguards underpinning how processors defend the most sensitive memory of billions of computers. 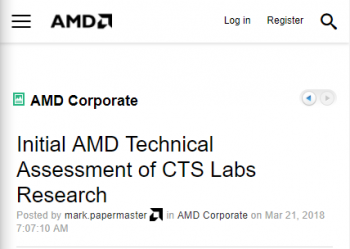 On Tuesday morning, hardware security firm CTS Labs published a paper and website pointing to four new classes of attack that the company says are possible against AMD chips in both PCs and servers. 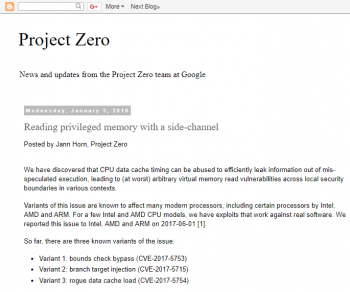 Together, they seem to offer an array of new methods for hackers who have already gained significant access to a computer running AMD's "Zen" processor architecture. 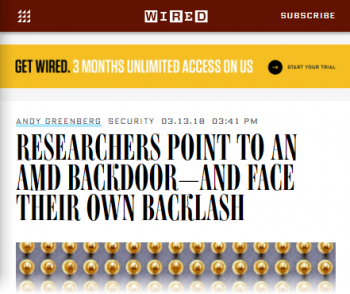 At their worst, the vulnerabilities as described would allow attackers to bypass security safeguards against tampering with the computer's operating system, and potentially plant malware that evades practically any attempts to detect or delete it on AMD chips. I had two customers asking today what happened to ESXi 6.5 build 7526125. They downloaded patches and installed them in their test environment. Ready to patch some of their clusters they did a validation and found out that the patch (ESXi650-201801001.zip) has disappeared from the face of the earth. This patch included microcode for Intel processors, and Intel informed VMware that there was potentially an issue with their microcode. As such VMware decided to pull the patch as noted in the KB article. 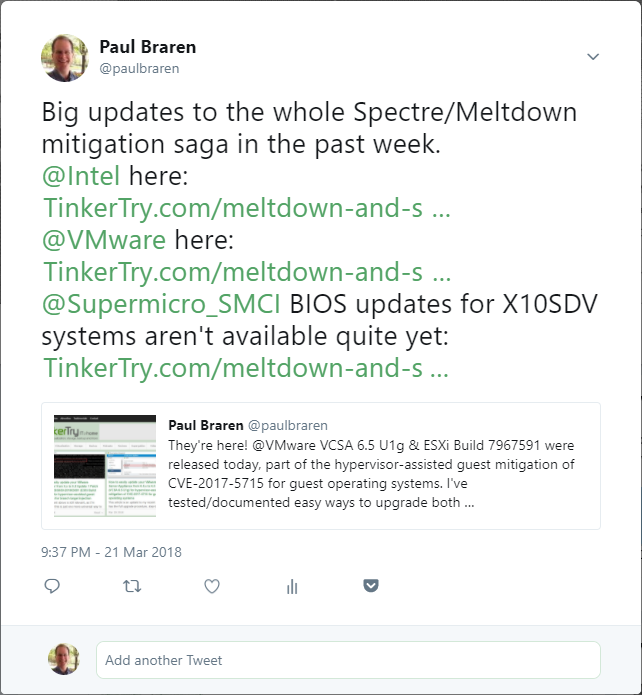 More emphasis is brought to VMware's KB 52245 which pulls together all relevant VMware statements about Meltdown and Spectre, and has had 22,272 views already. Several important new articles released last night and today, added above. 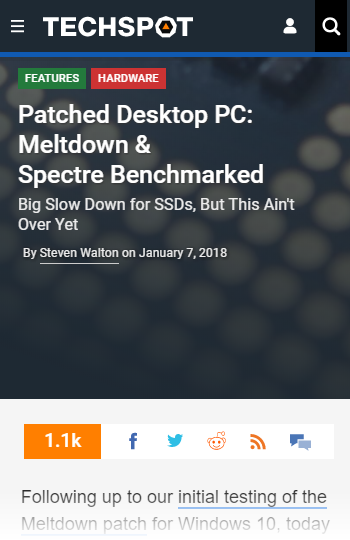 Added my own server, phone, and laptop patch stories to the introductory section above. but this wording has apparently been removed. Updates to the above article made accordingly, and all related articles. Added Yellow Bricks article above. 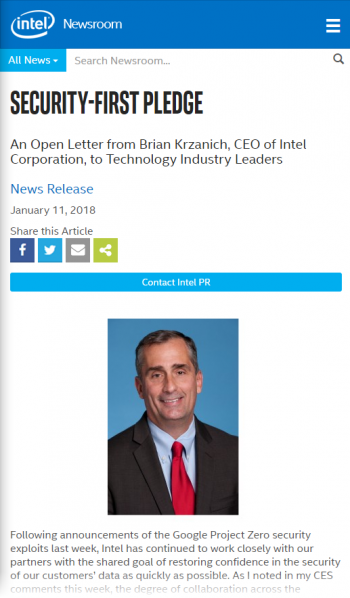 Added this Intel article, along with several recent blog posts and podcasts. 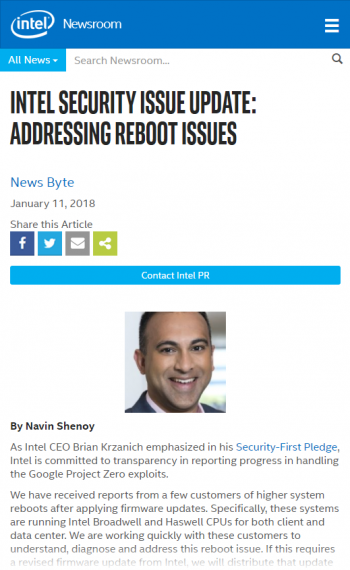 Added Intel article from Feb 07 2018. 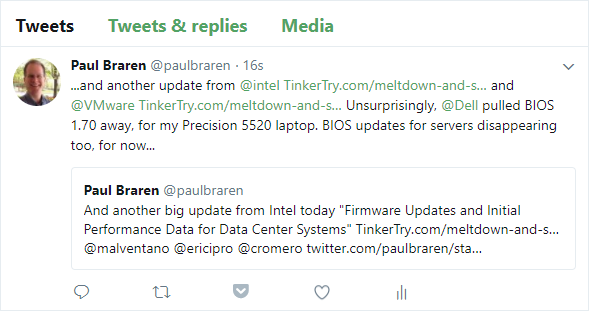 The Dell PCs and Thin Client article has been updated to show that my Dell Precision 5520 BIOS upgrade is now 1.7.1, which I have applied to my system without incident. VMware has released VCSA 6.5 U1f (Update 1f) build number 7801515. Many updates made, details in this tweet. This class of attacks is shaping up to be really mostly a concern only for cloud computing providers, something Steve Gibson outlines nicely in this podcast segment from episode 668: Lazy FPU State Restore. Researchers find a new side-channel attack against a performance-enhancing feature in Intel CPUs. A new attack prompted OpenBSD's developers to disable hyperthreading by default. Expectedly, even 6 months after these side-channel vulnerabilities were made public, this whole saga of struggle to get this fixed is still dragging on, and there's no clear end in sight. New, similar vulnerabilities are still being found. Given TinkerTry's focus tends to be mostly on home lab topics, my own interest in tracking the ins-and-outs of this issue is admittedly waning. I'll likely be wrapping up most of my updates on this article soon. Major news like Supermicro Xeon D BIOS upgrades that may further mitigate such vulnerabilities will continue to be covered at TinkerTry.